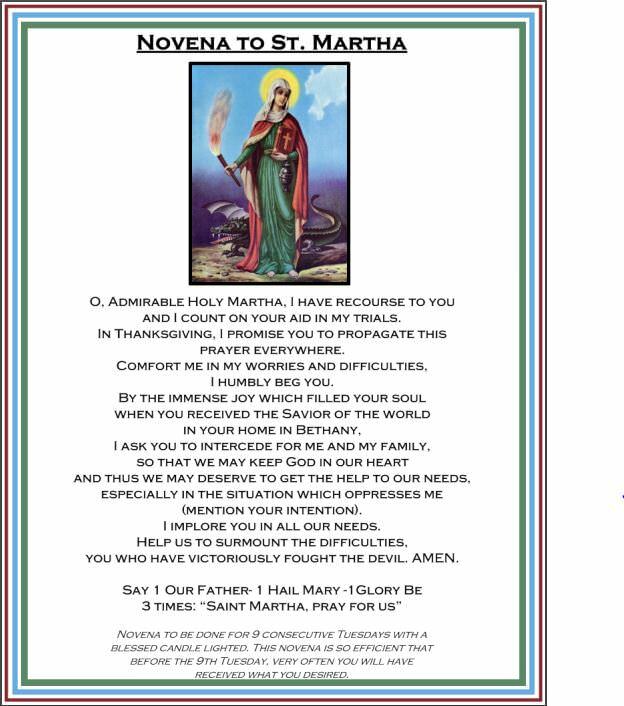 Print and pray this Saint Martha Novena prayer to sell your home or other household matters. Saint Martha is the patron saint of homemakers and cooks. She is our patroness for whom Jesus was like family, and is therefore, one of the most powerful patron saints in the presence of God for intercession with home duties and duties related to hospitality. Are you selling your home? Ask St. Martha to help you. 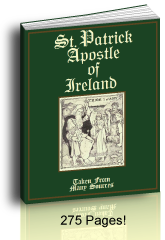 Below you'll see quotes that we have compared to the hard bound copies from Butler's Lives of the Saints (1866) published by Sarto Books and the Roman Catholic Bible (Douay-Rheims Bible-DRB) published TAN Books. SHE was sister to Mary and Lazarus, and lived with them at Bethania, a small town two miles distant from Jerusalem, a little beyond mount Olivet. Our Blessed Redeemer had made his residence usually in Galilee, till in the third year of his public ministry he preached chiefly in Judea, during which interval he frequented the house of these three holy disciples. Martha seems to have been the eldest, and to have had the chief care and direction of the household. It appears from the history of the resurrection of Lazarus that their family was of principal note in the country. In the first visit, as it seems, with which Jesus honored them. St. Luke tells us that St. Martha showed great solicitude to entertain and serve him. She forgot the privilege of her rank and riches, and would not leave so great an honor to servants only, but was herself very busy in preparing every thing for so great a guest and his holy company. Mary sat all the time at our Savior’s feet, feeding her soul with his heavenly doctrine. In this she found such inexpressible sweetness, and so great spiritual advantage, that she forgot and contemned the whole world, and would suffer nothing to draw her from her entertainment with her God, or make her lose any one of those precious moments. At his sacred discourses her heart was inflamed, her pure soul seemed to melt in holy love, and in a total forgetfulness of all other things she said to herself, with the spouse in the Canticles: My beloved to me, and I to him, who feedeth among the lilies; that is, with chaste souls, or among the flowers of virtues. 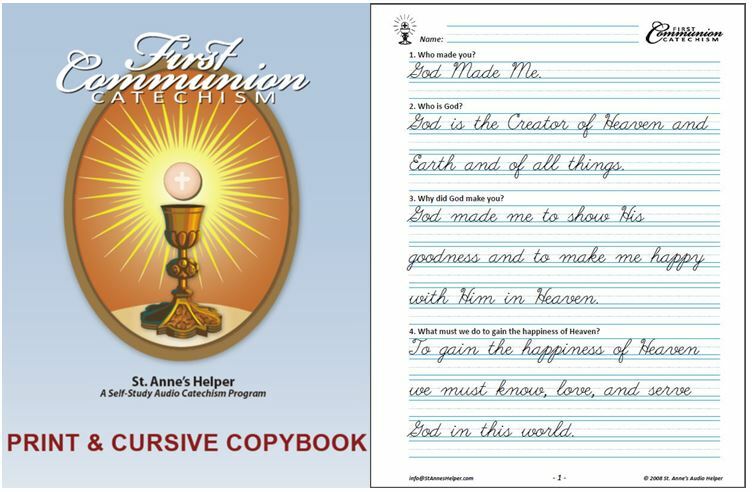 St. Austin observes that this house represents to us the whole family of God on earth. In it no one is idle, but his servants have their different employments, some in the contemplative life, as recluses; others in the active; as, first, those who labor for the salvation of souls in the exterior functions of the pastoral; secondly, those who, upon pure motives of charity, serve the poor or the sick; and, lastly, all who look upon their lawful profession in the world as the place for which God had destined them, and the employment which he has given them; and who faithfully pursue its occupations with a view purely to accomplish the divine will, and acquit themselves of every duty in the order in which God has placed them in this world. He is the greater saint, whatever his state of life may be, whose love of God and his neighbor is more pure, more ardent, and more perfect; for charity is the soul and form of Christian perfection. But it has been disputed whether the contemplative or the active life be in itself the more perfect. St. Thomas answers this question, proving from the example of Christ and his apostles, that the mixed life, which is made up of both, is the most excellent. This is the apostolic life, with the care of souls, if in it the external functions of instructing, assisting, and comforting others, which is the most noble object of charity, be supported by a constant perfect spirit of prayer and contemplation. In order to this, a long and fervent religious retirement ought to be the preparation which alone can form the perfect spirit of this state; and the same must be constantly nourished and improved by a vehement love and frequent practice of holy retirement, and a continued recollection, as Christ during his ministry often retired to the mountains to pray; for that pastor who suffers the spirit of prayer to languish in his soul, carries about a dead soul in a living body, to use the expression of St. Bonaventure. The like interior spirit must animate; and some degree of assiduity in the like exercises, as circumstances will allow, must support those who are engaged in worldly employments, and those who devote themselves to serve Christ’s most tender and afflicted members, the poor and the sick, as Martha served Christ himself. With so great love and fervor did Martha wait on our Redeemer, that, as we cannot doubt, she thought that if the whole world were occupied in attending so great a guest, all would be too little. She wished that all men would employ their hands, feet, and hearts, all their faculties and senses, with their whole strength, in serving with her their gracious Creator, made for us our brother. Therefore, sweetly complaining to him, she desired him to bid her sister Mary to rise up and help her. Our meek and loving Lord was well pleased with the solicitude and earnestness, full of affection and devotion, wherewith Martha waited on him; yet he commended more the quiet repose with which Mary attended only to that which is of the greatest importance, the spiritual improvement of her soul. Martha, Martha, said he, thou art careful and troubled about many things; but one thing is necessary. If precipitation or too great eagerness had any share in her service, this would have been an imperfection; which, nevertheless, does not appear. Christ only puts Martha in mind that though corporal duties ought not to be neglected, and if sanctified by a perfect intention of charity are most excellent virtues, yet spiritual functions, when they come in competition, are to be preferred. The former, indeed, become spiritual, when animated by a perfect spirit and recollection; but this is often much impaired by the distraction of the mind, and in the course of action. In our external employments, which we direct with a pure intention to fulfill the divine will, we imitate the angels when they are employed by God in being our guardians, or in other external functions with which God hath charged them; but as these blessed spirits in such employs never lose sight of God, so ought we in all our actions continue, at least virtually, to adore and praise his holy name; but herein the eye of the soul is often carried off, or its attention much weakened. Whereas, in heavenly contemplation, the heart is wholly taken up in God, and more perfectly united to him by adoration and love. This is the novitiate of heaven, where it is the uninterrupted occupation of the blessed. In this sense Christ so highly commends the choice of Mary, affirming that her happy employment would never be taken from her. He added: “One thing is necessary;” which words some explain as if he had said, “A little is enough, one dish suffices;” but the word necessary determines the sense rather to be, as St. Austin, St. Bernard, Maldonatus, Grotius, and others expound it, eternal salvation is our only affair. Another instance which shows how dear this devout family was to our divine Savior, is the raising of Lazarus to life. When he fell sick, the pious sisters sent to inform Christ, who was then absent in Galilee. They said no more in their message than this: He whom thou lovest is sick. They knew very well that this was enough; and that his tender bowels would be moved to compassion by the bare representation of their calamity. It was not to remove our corporal miseries that Christ came from heaven, and died and suffered so much; this was not the object which drew down this Almighty Physician among us. If, in his mortal life on earth, he healed the sick and raised the dead, by these miracles he would manifest, as by sensible tokens, the spiritual cures which he desired to work in our souls. We groan under the weight of innumerable and the most dreadful spiritual miseries. Our tender Redeemer knows their horrible depth and endless extent; but he would have us to conceive a just sense of them, to acknowledge them, and earnestly to implore his aid; for this he sheds the rays of his light upon our blind souls, and rouses us by his repeated graces. The first step towards a deliverance is, that we confess, with a feeling sense, our extreme baseness and ingratitude, and our weakness and total incapacity of doing any thing of ourselves towards our recovery; but we have a physician infinitely tender and powerful. To him then we must continually lay open our distress, and with deep compunction display our miseries before his holy eyes, earnestly striving by this dumb eloquence to move him to pity; exposing to him that we whom he loveth still as the work of his hands, as the price of his blood, lie ingulfed in unspeakable miseries. Thus we must entreat him, with tears and loud cries of our hearts, to look down on his image in our souls, now disfigured and sullied with sin; on his kingdom left desolate by the tyranny of the devil and our passions; on the vineyard which himself had planted, adorned, and fenced, but which is laid waste by merciless robbers and enemies; and that he would stretch out his almighty hand to repair these breaches, and save us. So long as life lasts we can never be sure that we shall find mercy, or rest secure of the issue of our great trial upon which our eternity depends; so long, therefore, we ought never to cease, with most earnest cries, to implore the clemency of our Judge, laying open our spiritual miseries to him in these words of the two sisters: “Behold he, whom thou lovest, is sinking under the weight of his evils,” and beg him to remember his ancient love and mercies towards us. We ought also in corporal distempers to address ourselves to God with the like words, begging with Saint Martha our own or our brother’s corporal health, if this may be expedient to our souls, and conducive to the divine honor. In all these petitions we ought to implore the joint supplications of the saints, as at the entreaties of his sisters Christ raised Lazarus. Having received their message, he wanted no other prompter than that of his own compassion and affection; an emblem of the paternal mercy with which he draws to himself, and receives penitent sinners. Had the prodigal son offered any plea of merits or deserts, he had never deserved to find favour; but he knew the goodness and tenderness of his father, who had with restless nights waited with impatience to see him return. The tender parent wanted no motives drawn from other objects or things without himself. The paternal affection within his own breast pleaded in favour of his disobedient child. By this his very bowels yearned to embrace him again, and raise him from spiritual death to life. 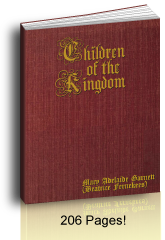 This same tenderness and compassion in Christ were the grounds of the sisters’ confidence. Jesus, however, deferred setting out two or three days, that his glory might be the more manifested by the greater evidence of the miracle, and by the trial of the virtue and confidence of the two holy sisters. When he arrived at Bethania, Martha went first out to meet and welcome him; and then called her sister Mary. The presence of Jesus brings every blessing and comfort; and, by it, the sisters had the joy to see their brother again restored to life when he had been four days in the grave. Christ was again at Bethania, at the house of Simon the Leper, six days before his passion. Lazarus was one of the guests. Martha waited at table; and Mary poured a box of costly ointments on our Lord’s feet, which she wiped with the hair of her head. 6 Judas Iscariot complained of this waste, saying that the ointment might have been sold, and the price given to the poor. Not that he had any regard for the poor, but, bearing the common purse, he converted things sometimes to his own use, being a thief. How imperceptible a vice is covetousness, and how subtle in excuses to deceive itself! Charity interprets the actions of others in the best part; but passion hurries men into rash judgments. Judas condemned the most heroic virtue and devotion of a saint; but Jesus undertook her defence. He was pleased not with the ointment, but with the love and devotion of his fervent servant, which he suffered her to satisfy by that action, which he received as performed for the embalming of his body, his death being then at hand. He, moreover, declared that this good work which Judas condemned, should be commended to the edification of his servants over the whole world wherever his gospel should be preached. St. Martha seems to have been one of those holy women who attended Christ during his passion, and stood under his cross. After his ascension, she came to Marseilles, and ended her life in Provence, where her body was found at Tarascon, soon after the discovery of that of St. Mary Magdalen. It lies in a magnificent subterraneous chapel of the stately collegiate church at Tarascon, which is dedicated to God in her honor. King Lewis XI, gave a rich bust of gold, in which the head of the saint is kept. We have all, like St. Martha, one only necessary affair; that for which alone God created and redeemed us; for which he has wrought so many wonderful mysteries in our favour, and upon which the dreadful alternative of sovereign and everlasting happiness or misery depends. This is, that we refer even all our worldly employments and all that we do, to glorify God, to fulfil his will and to save our souls. In this, all our thoughts, desires, and enterprises ought to centre: this is the circle in which we must shut ourselves up, and never think of moving out of. Every one ought sincerely to say with an ancient writer: “I have but one only affair; and I care for nothing else only lest any other thing should take off any part of my attention from this my only business.” What account will they be able to give to themselves or to their Judge at the last day, who make vanity, pastimes, and idle employments, the sole business of their life? or they who toil and slave much in bustling through the world, seeming to neglect nothing but their only affair? "Now it came to pass as they went, that he entered into a certain town: and a certain woman named Martha, received him into her house. And she had a sister called Mary, who sitting also at the Lord's feet, heard his word. But Martha was busy about much serving. Who stood and said: Lord, hast thou no care that my sister hath left me alone to serve? speak to her therefore, that she help me. And the Lord answering, said to her: Martha, Martha, thou art careful, and art troubled about many things: But one thing is necessary. Mary hath chosen the best part, which shall not be taken away from her." "Martha therefore said to Jesus: Lord, if thou hadst been here, my brother had not died. But now also I know that whatsoever thou wilt ask of God, God will give it thee. Jesus saith to her: Thy brother shall rise again. Martha saith to him: I know that he shall rise again, in the resurrection at the last day. Jesus said to her: I am the resurrection and the life: he that believeth in me, although he be dead, shall live:"
"And every one that liveth, and believeth in me, shall not die for ever. Believest thou this? She saith to him: Yea, Lord, I have believed that thou art Christ the Son of the living God, who art come into this world." "Jesus therefore, six days before the pasch, came to Bethania, where Lazarus had been dead, whom Jesus raised to life. And they made him a supper there: and Martha served: but Lazarus was one of them that were at table with him. Mary therefore took a pound of ointment of right spikenard, of great price, and anointed the feet of Jesus, and wiped his feet with her hair; and the house was filled with the odor of the ointment." St. Martha was the oldest sister of Mary and their brother Lazarus, with whom she lived in Bethany. We know that she busied herself preparing a meal for Jesus and his disciples then went to Jesus to complain that Mary did nothing while she did the housework. It was at that time Jesus reminded her that Mary had chosen “the best part”. Jesus frequently visited Martha’s home in Bethany, not far from Jerusalem. Martha welcomes Jesus and his disciples into her home and serves them. After the death of her brother while still in mourning she gets up and leaves to meet Jesus who has just come into the village. St. Martha, Mary Magdalen, and Lazarus went to southern France in A.D. 48, where St. Mary Magdalen retired to a life of penance, and St. Lazarus acted as Bishop of Marseilles. In religious art St. Martha is frequently shown working in the kitchen (usually with her sister Mary Magdalene and Jesus in the foreground), at the tomb of Lazarus, crossing the sea on her way to France, or with a dragon at her feet or on a leash. Her symbols are the aspersory (holy water basin) and/or aspergillum (holy water sprinkler) used to asperse holy water on the dragon, the dragon itself, a broom, and a girdle (belt she used as a rope to contain the dragon). Tradition tells us that she was responsible for slaying the dragon that tormented the French town of what was then to be called Tarrascon after the name the people had given the dragon. Because St. Martha took care of the hungry, followers of Jesus traditionally know her as the Patroness of housewives, servants, and cooks. The Feast of St. Martha is July 29. 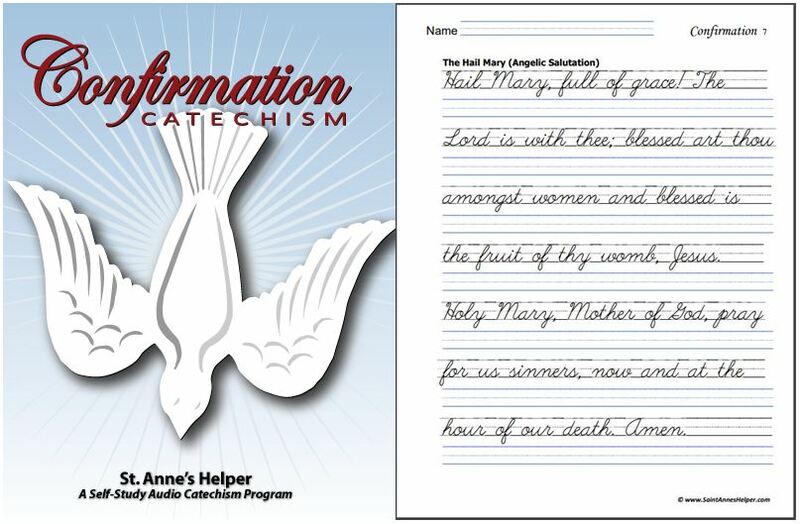 The Prayer to St. Martha is used in the Saint Martha Novena – Prayer to Saint Martha which was successful in obtaining our current home. Thank you, St. Martha. Butler's Lives of the Saints (1866) as compared to Butler's Lives of the Saints, Sarto Books, 1982 (NOT Thurston and Attwater's) Some Brittish/American spellings differ. Roman Catholic Bible Online, (Douay-Rheims Bible), TAN Books. 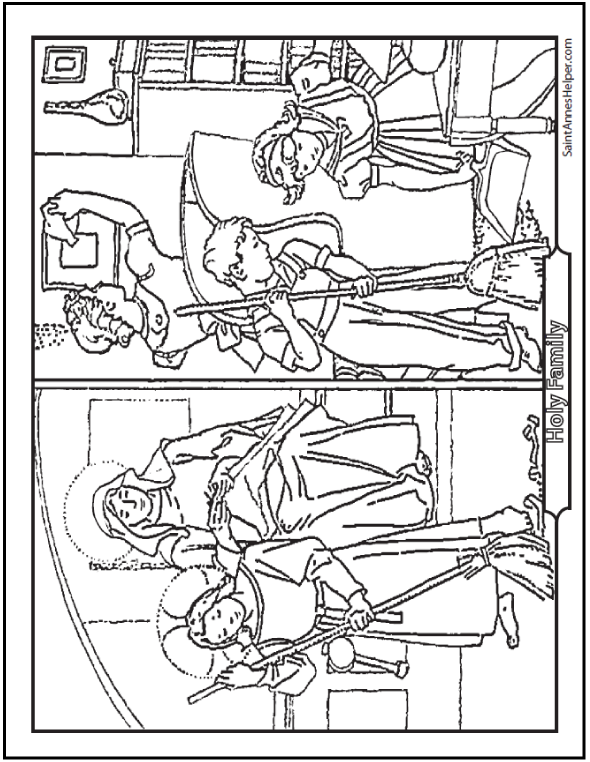 Saint Mary Magdalen coloring page. 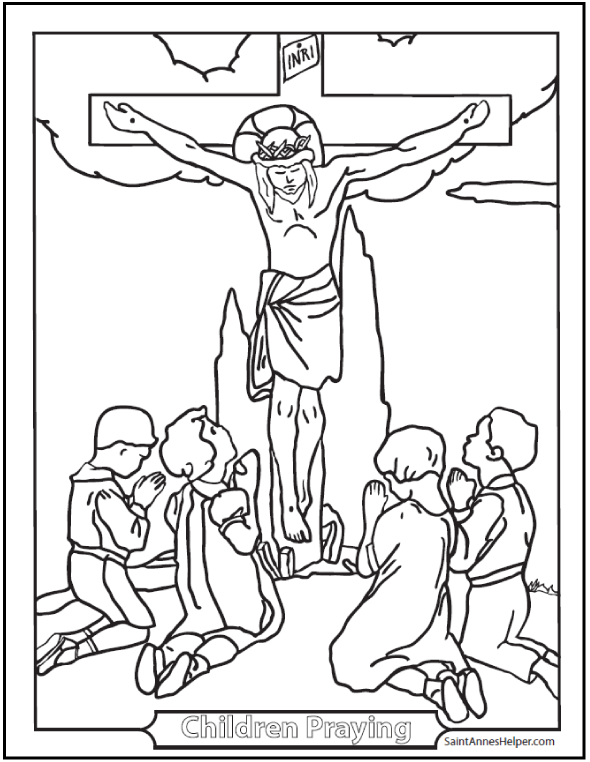 See hundreds of Free Coloring Pages To Print!